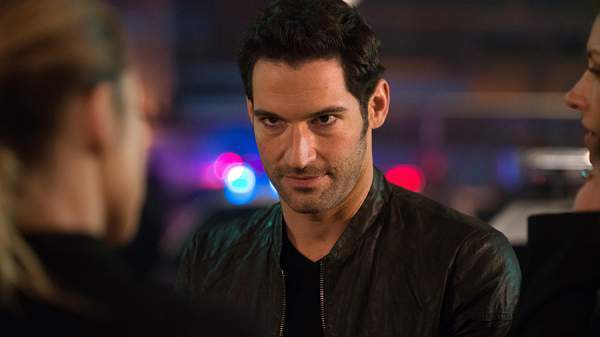 Lucifer Season 2 Episode 14 Spoilers, Air Date, Promo, Synopsis, 2×14 News & Updates: The FOX network has taken one more TV series off air. Touted as the winter finale, the Lucifer season 13 of the ongoing season 2 aired on Monday night at its regular time. The show is long gone now and will return in months like Gotham season 3. In the released trailer video, we can see Chloe in action solving police cases along with Lucifer. In the meantime, Maze is spotted speaking that the Devil is planning his revenge as they are speaking in the current moment. The promo video is available below on this page. The winter finale episode of Lucifer was titled “A Good Day to Die, ” and we saw the Devil going back to Hell to find the antidote to cure Chloe. The detective and the Luci searched for Burt in the ep. Burt had helped the doctor to smuggle the items, but it seemed to be another dead end to them. Lucifer took Chloe to the hospital when she started bleeding from the nose and fainted. Dan and the Devil questioned Dave Maddox who provided the doctor with the ingredients. When the Maddox didn’t give the said stuff willingly, the Devil forced him to do so. However, Maddox added that only Carlisle knows the formula. Check: Supergirl season 2 episode 11 spoilers. Later on, Lucifer got the idea to go to hell and extract the same directly from Carlisle. So, he asked Maze to kill him. After doing so, Dr. Linda tried to bring back Luci to life, for one minute or more, upon asked. It became easy for the Devil to extract the info from Carlisle. But, Lucifer left the doctor to re-live the car crash moment while in the hell, Uriel confronted him and Luci got trapped in guilt loop. In the end, we saw the Devil returning to the formula and Chloe getting cured. But, when she moved out and found that Luci hasn’t returned her calls and messages. It seems that he has left. Lucifer season 2 episode 14 will release on May 1, 2017, FOX at its regular timing. Stay tuned for more. How is it possible? Is it May? M A Y! Really damn it. I think I am going to die when Lucifer show up. Ikr! I’m addicted to that show and the wait is too bloody long.